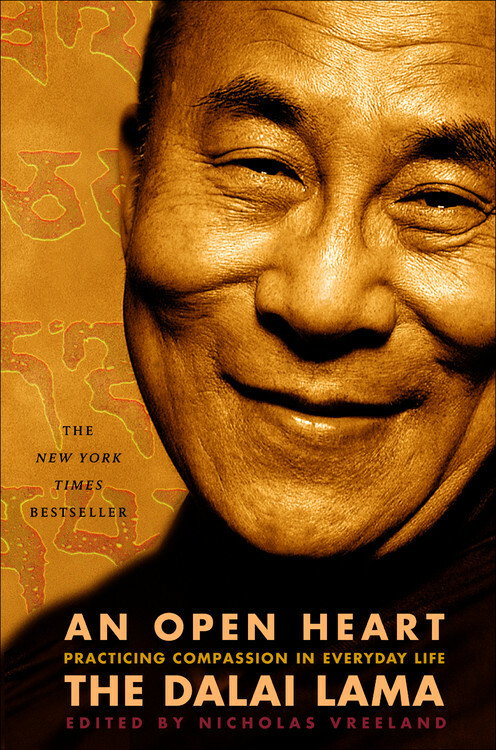 Drawn from His Holiness’s talks in New York City in August of 1999, An Open Heart is a clear and simple introduction to the core of Buddhism. The book lays out a course of meditations, from the simplest to the most challenging, that will enable anyone of any faith to see their minds more clearly and to open their hearts. And coming from a man whose entire life has been a testament to the power of open-heartedness, the life-impulse to be imbibed and lived in these talks is both substantial and highly instructive. In his three talks at the Beacon Theatre, he wove together the contents of two texts, the Middle-Length Stages of Meditation by the 8th-century Indian master Kamalashila and The Thirty-Seven Practices of Bodhisattvas by the 14th-century Tibetan practitioner Togmay Sangpo. On the last day, a Sunday morning, more than 200,000 people congregated in Central Park’s East Meadow to hear him speak on Eight Verses on Training the Mind, a poem by the 11th-century Tibetan sage Langri Tangpa. It was a day of immense blessing. Among the topics in these talks, which have been edited into chapters, are: the desire for happiness, karma, the afflictions, compassion, cultivating equanimity, the nine stages of calm-abiding meditation, Buddhahood, and generating Bodhicitta (the wish to become illumined for the benefit of all beings everywhere). I am not unique; I have no special privilege. You are not unique, nor do you hold special privileges. My aspiration to be happy and overcome suffering is part of my fundamental nature, as it is part of yours. If this is so, then just as we do, all others have the right to be happy and overcome suffering, simply because they share this fundamental nature. It is on the basis of this fundamental equality that we develop equanimity toward all. In our meditation we must work at cultivating the attitude that “Just as I myself have the desire to be happy and overcome suffering, so do all others, and just as I have the natural right to fulfill this aspiration, so do all others.” We should repeat this thought as we meditate and as we go about our lives, until it sinks deep into our awareness. Compassion-sympathy for the suffering of others and the desire to free them from it-is wrestled with in all spiritual traditions. Yet how does one actually become a compassionate person? What are the mechanisms by which a selfish heart is transformed into a generous heart? In this acclaimed bestseller, His Holiness the Dalai Lama writes simply and powerfully about the everyday Buddhist practice of compassion, offering a clear, practical, inspiring introduction to the Buddhist path to enlightenment.The teachings presented here are drawn from the Dalai Lama’s 1999 visit to America. The book lays out a course of meditations that will enable anyone to of any faith to change their minds and open their hearts. At the same time it introduces the basic philosophy of Buddhism and its core concepts to a general audience. A great follow-up title to The Art of Happiness.